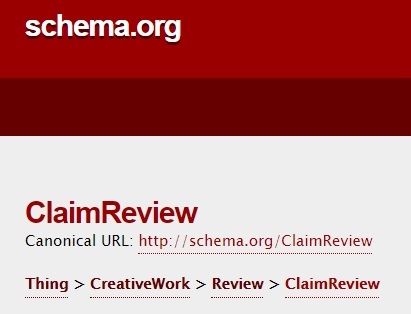 Would you say that most ClaimReviews you’ve come across are refutations? Perhaps worth considering where and when people are motivated to annotate and how this bias (if it exists) impacts the project of web annotation as a whole. That’s a good question. Eyeballing https://www.realclearpolitics.com/fact_check_review/ I’d say that many are. But this has nothing to do with annotation per se. That’s the corpus of claims that have been reviewed by the leading fact-checking organizations.